1Agricultural Communication, Education, and Leadership Department, College of Food, Agricultural and Environmental Sciences, Ohio State University, United States of America 208 Agricultural Administration Building, 2120 Fyffe Road Columbus, OH 43210; 2Institute of Agric. Extension and Rural Development, Faculty of Social Sciences, University of Agriculture, Faisalabad-Pakistan; 3In-Service Agricultural Training Institute, Rahim Yar Khan, Punjab, Pakistan. Smallholder or resource-poor farmers in a tropical country, such as Pakistan, are often the cause of environmental degradation and at the same are impacted by it. More than 80% of the farmers in Pakistan are resource-poor or practice subsistence farming which degrades the environment. Therefore, there is an urgent need for climate smart extension education for these farmers. The main purpose for this study was to examine environmental degradation/climate change associated problems faced/ perceived by resource-poor farmers and ways adopted to mitigate them. 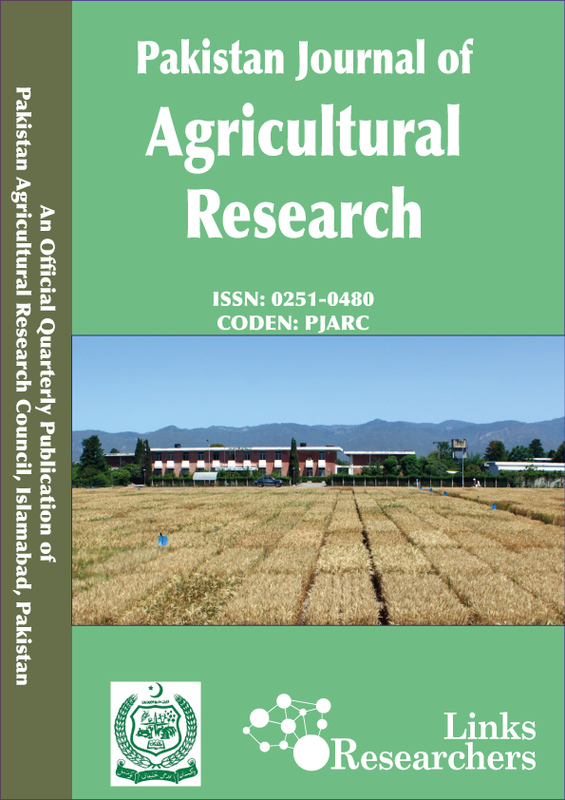 The specific objectives of study were to determine farm damages of resource-poor farmers under environmental degradation; explore mitigation strategies available for resource-poor farmers; and examine the implications for extension educations in Pakistan. The survey of 120 farmers was conducted in the Punjab Province of Pakistan, covering 36 districts and across three of the ten agro ecological zones of the country. Rice, cotton and mix-cropping are practiced in these zones. The findings show that maintaining soil fertility and controlling livestock diseases were the main challenges resource-poor farmers face while water conservation and climate smart agricultural practices were proposed as the main mitigation strategies. Educating resource poor farmers on the causes and consequences of environmental degradation is relatively new in Pakistan. With these farmers constituting the vast majority of the agricultural population there is an urgent need for extension to come to their aid. Climate smart agricultural practices should be integrated in extension training and practice in Pakistan.